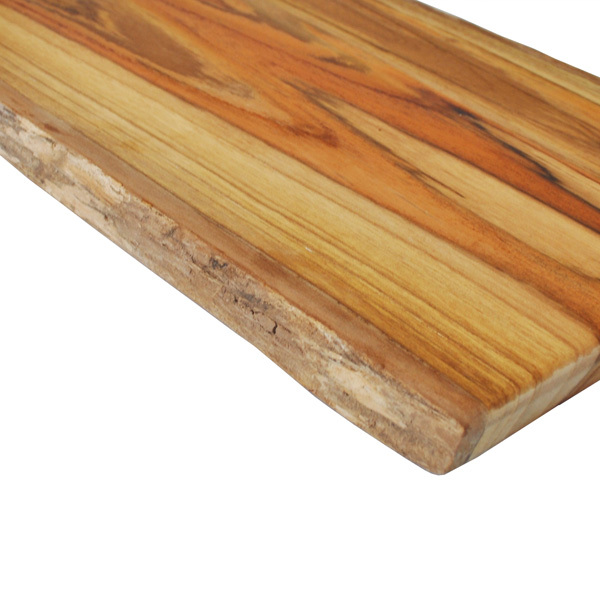 A beautiful bark edge teak cutting board, with handle. This teak board has a natural, bark edge giving it a lovely rustic look and feel. 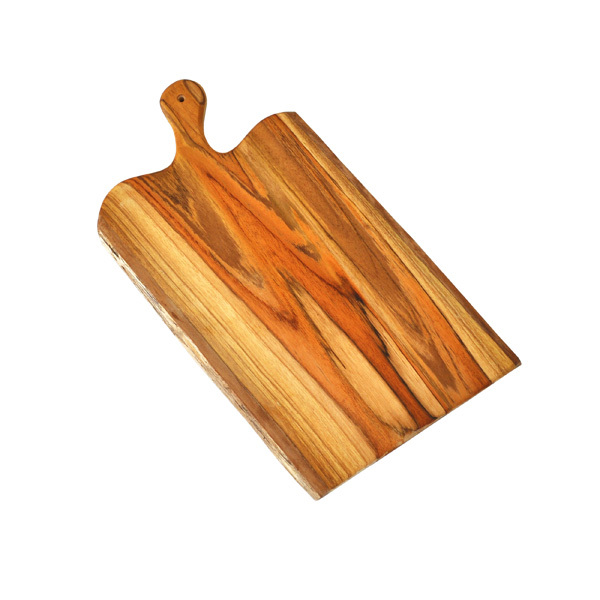 A large everyday cutting board this teak board measures 19″ long, 10″ wide and 0.75″ thick. 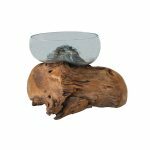 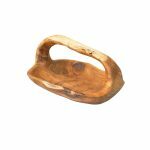 The natural lines, swirls and streaks of the teak wood grain make each board a stunning, individual work of art. 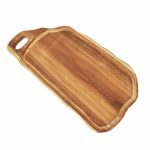 Made from a single piece of teak wood these cutting boards are durable, long-lasting and water resistant. 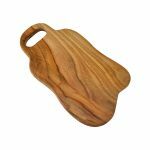 These natural teak wood cutting boards are a great addition to any kitchen.